Nicola LeFanu talks to Donald Macleod about her recent and future compositional projects. Including Mira Clas Tenebras (excerpt), String Quartet No 2, The Bourne, Amores. 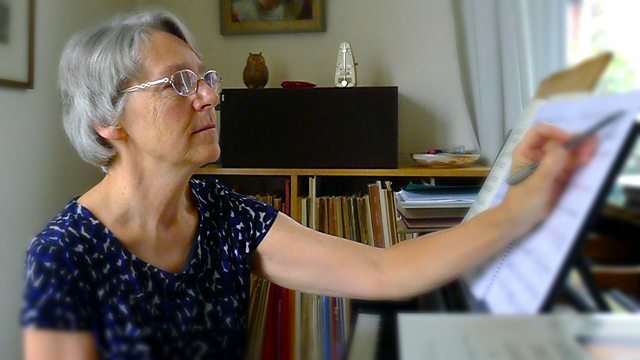 Composer Nicola LeFanu has been at the heart of British contemporary music for several decades, and at the forefront of promoting the works of her fellow women composers. In 2017 LeFanu turns seventy, and in conversation with Donald Macleod she looks back at her distinguished career including commissions from many leading artists. LeFanu also chats about some of the composers who have influenced her including her mother Elizabeth Maconchy, and also her husband David Lumsdaine. In 1996 Nicola LaFanu composed her String Quartet No 2. It was commissioned for the following year's London International String Quartet Competition and was dedicated to the memory of her mother, the composer Elizabeth Maconchy, and of her father, the scholar and writer William LeFanu. In this programme, Nicola LeFanu discusses with Donald her recent and future composition projects. She looks back at her career, chats about how she writes music, and also the sort of music she enjoys performing at home, often with her son Peter, to whom she dedicated her work 'Amores'. Performer: Bridget Carey. Performer: Lucy Wakeford. Singer: Sally Bradshaw. Performer: Lucy Wakeford. Singer: Elizabeth Atherton. Performer: Pamela Lidiard. Singer: Tracey Chadwell. Performer: Richard Watkins. Orchestra: Goldberg Ensemble. Conductor: Malcolm Layfield.